The back-and-forth between Colts owner Jim Irsay and quarterback Peyton Manning has been nauseating to say the least. And although the debate on what the Colts should do with Manning has been going on since midway through the 2011 season, the Irsay-Manning drama started following an interview Manning did with Indianapolis Star columnist Bob Kravitz. Manning didn’t really say much in the interview. He just commented on how things were emotional in the Colts complex when he kept seeing his coaches get fired. Irsay, however, had a different reaction to the story. 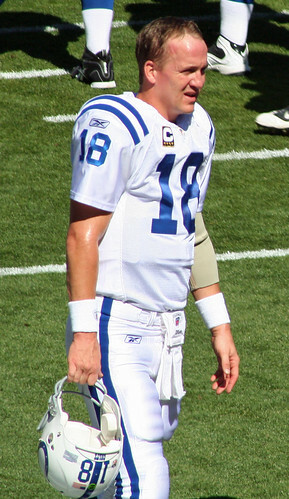 When Irsay was asked about Manning’s comments, he called his quarterback a “politician.” He said, "I don't think it's in a good interest to paint the horseshoe in a negative light.” Since then, more words have been exchanged between the two sides, but no decision has been made as to whether or not the Colts will keep Manning for another season. If I’m Manning, I don’t want to come back. I’d much rather see what interest other teams have in me in free agency. Why would he want to come back to Indy? Obviously he’s played his whole career in Indy and he has a lifestyle there, but considering the situation, there’s no good reason for him to come back. The Colts will, in all likelihood, be selecting Andrew Luck with the first pick in the draft. That’s not exactly the situation that a quarterback wants to be in. Also, all of his coaches except for quarterbacks coach Clyde Christensen have been fired. It’s best for both sides if Manning moves on. It saves in cap room for the Colts and they can move into a new era with a new head coach and a new quarterback. If Manning does move on, teams such as Washington, Miami and Arizona have been linked as possible destinations. I have a hard time seeing Manning going to Arizona. The Cardinals just signed Kevin Kolb to a six-year, $65 million contract last offseason, and they can’t afford to spend a lot of money on another quarterback. Washington and Miami are both likely destinations. Both teams need a franchise quarterback and could benefit from Manning being on their team. Before that happens, though, the Colts must make a decision on Manning.